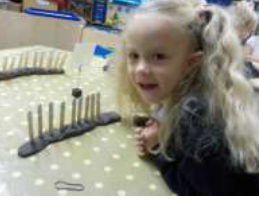 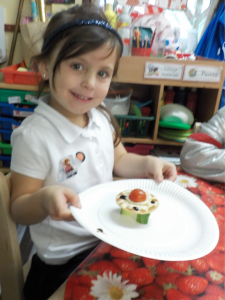 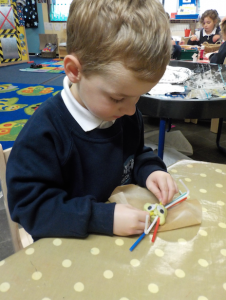 This term we have made a great start to beginning to develop skills which will help us to learn to read and write. 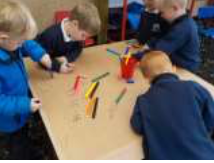 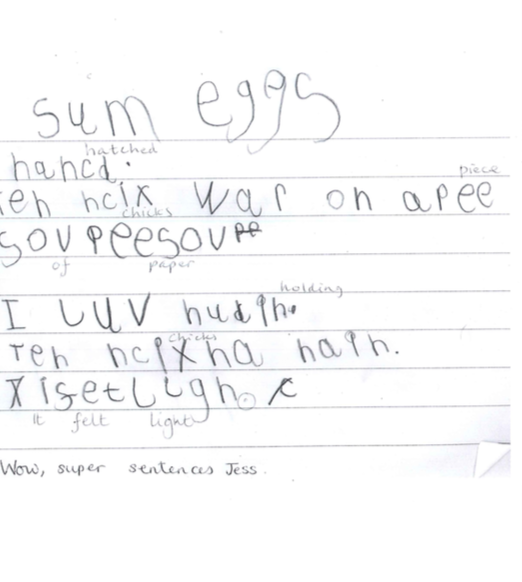 We’ve learnt how to say sounds, how to form letters, how to blend sounds to make words and how to write sounds to enable us to put our ideas on paper. 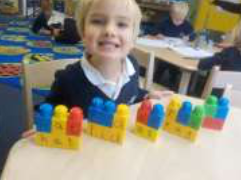 We have explored numbers to 20, recognising them, ordering them, counting objects and we have even been writing numbers! 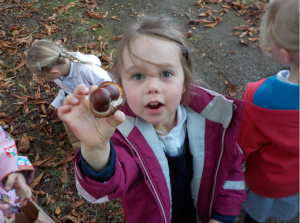 Last week Class R went on a gorgeous walk to collect conkers, conkers and more conkers! 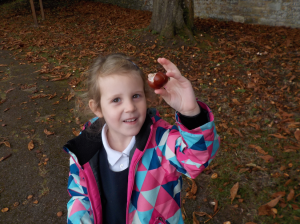 We had a lovely time hunting for, and finding, all sorts of autumnal treasures. 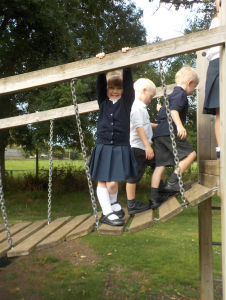 After enjoying our mid morning snack outside we went and had a look around the church. 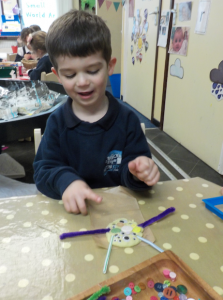 It was peaceful in the church and we had an interesting time exploring the building. 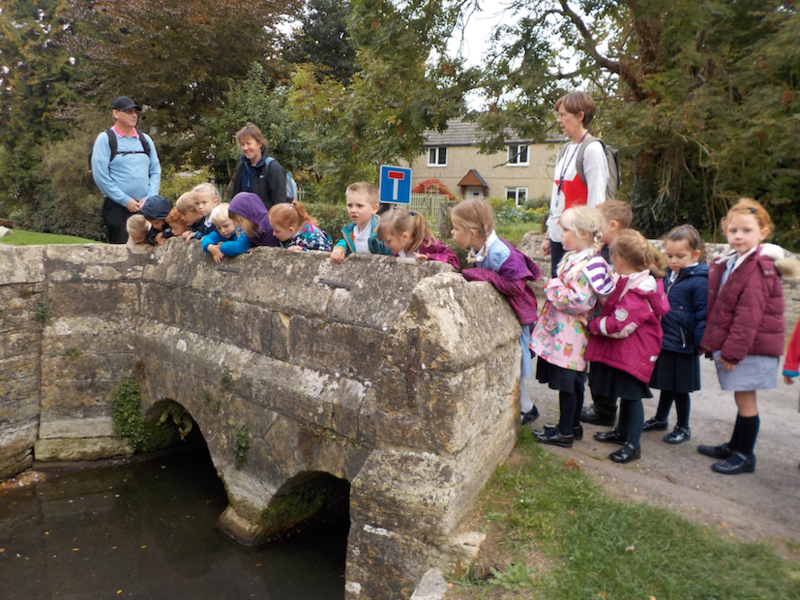 On the way back we spotted ducks and yes, more conkers! 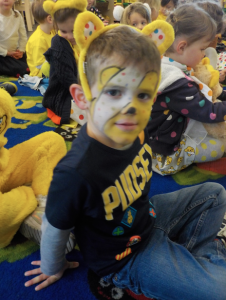 Well done Class R – you were brilliant! 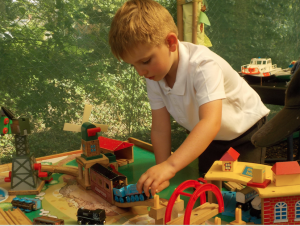 The EYFS team have been amazed at how well the new children have settled into Class R. They are learning about a different number and sound every day, making new friends, playing together and and particularly enjoying playtimes with their Yr 6 buddies. 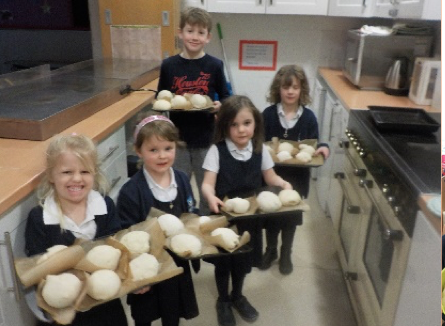 It’s been an eventful term for Class R! 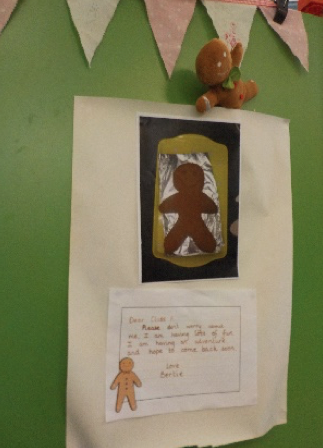 Not only have we been improving our writing skills but we have also been learningthe stories of the Little Red Hen, The Gingerbread Man and Jack and the Beanstalk. 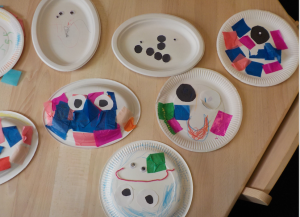 We’ve also had some mysteries to solve and some strange things happening! 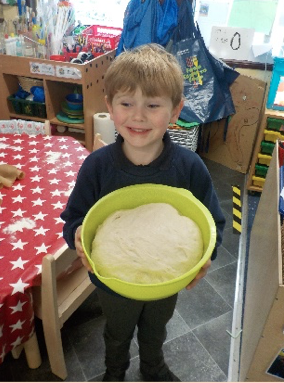 Bertie the Gingerbread man went missing but then, thank goodness, was found again; a magic bean grew mysteriously quickly over playtime and, perhaps not so mysterious, we enjoyed tasting and baking bread. 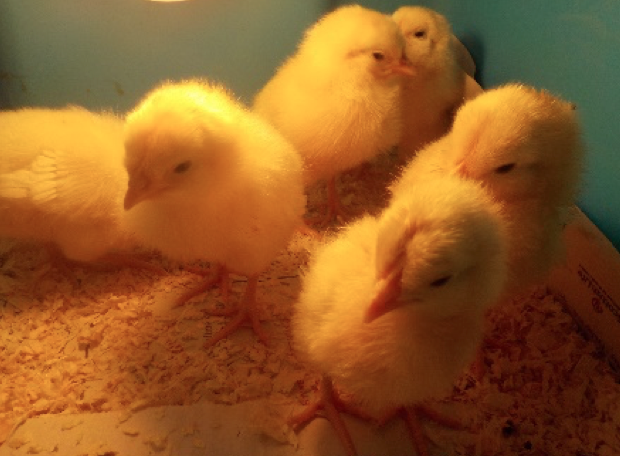 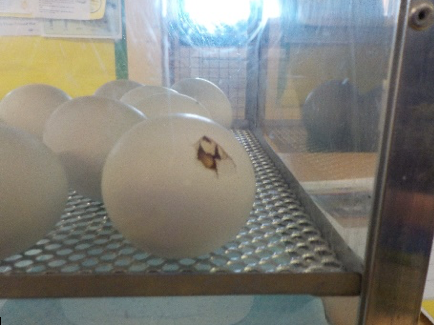 The last couple of weeks have been especially eventful with the arrival of 10 eggs which we really enjoyed seeing hatch and then looking after. 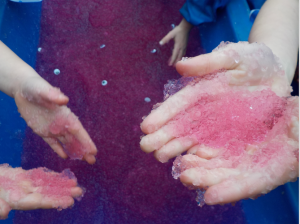 Class R have had a fantastic time exploring all things wintry! 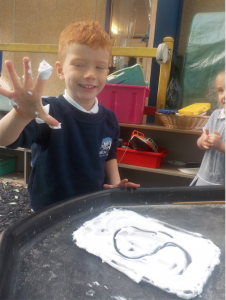 We have investigated ice and created our very own ice mountain, learnt about polar animals and had lots of fun in our ice palace. 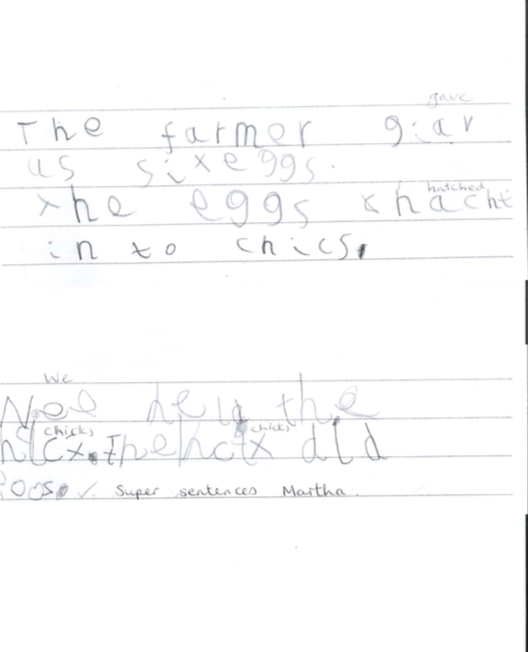 Our writing has flown this term and we are all now learning how to write simple sentences independently. 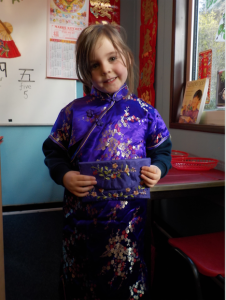 Our term finished with a Chinese New Year celebration. 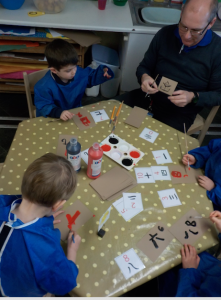 We have learnt how to write Chinese numbers and found out all about the different customs and traditions. 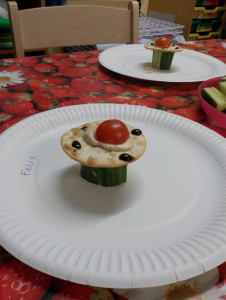 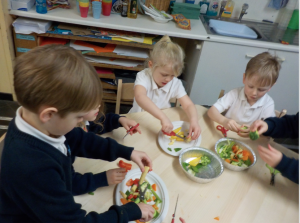 We loved preparing our Chinese feast. 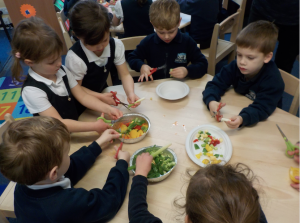 We made our own shopping lists for the ingredients and then sat down to a 3 course lunch together. 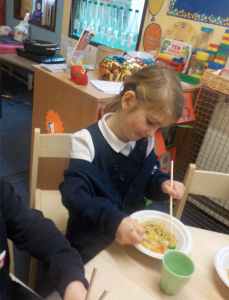 Some of us tried some new flavours and we all had a go at using chopsticks. 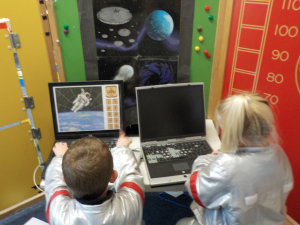 In Class R this term we have been all the way to space!!! 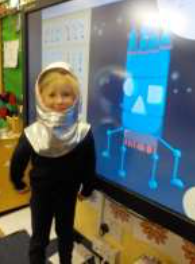 We’ve heard the story of Bob the Man on the Moon, Aliens love underpants and Whatever next. 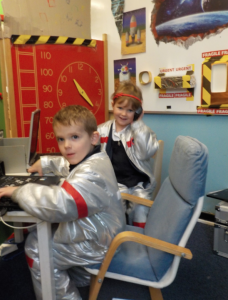 We’ve learnt about the moon, stars, space travel and really enjoyed playing in our space rocket. 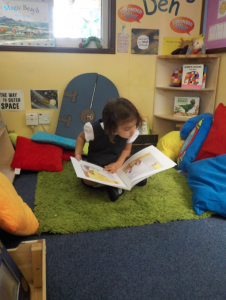 Our new shining stars are settling in beautifully to their new surroundings and routines. 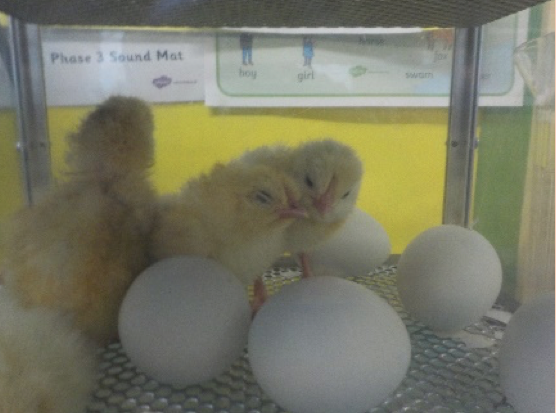 They are already making friends with their new classmates and bonding well with their Yr 6 buddies. 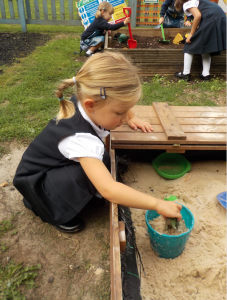 As part of the whole school’s ‘A seed is sleepy’ theme, we have planted mustard seeds on stones and soil just like in Jesus’ parable of the sower and the seed. 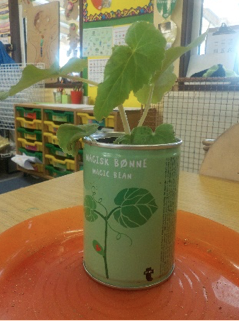 We have been predicting and observing what happens to the seeds.